It starts right from the blood-red opening credits. Surprise, surprise, surprise! Sometimes, the expectations from a movie are zilch, but what unfolds on screen is beyond expectations. 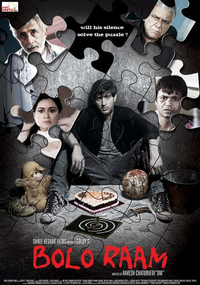 Bolo Raam suffers because even though it has an interesting plot it doesn't quite reach out to audiences.